Shopping for Matrix Action Figures? Sure, there have been Matrix action figures before, but never Matrix action figures from McFarlane Toys! With every series of action figures, McFarlane always adds a deluxe Box Set figure that blows everyone away. 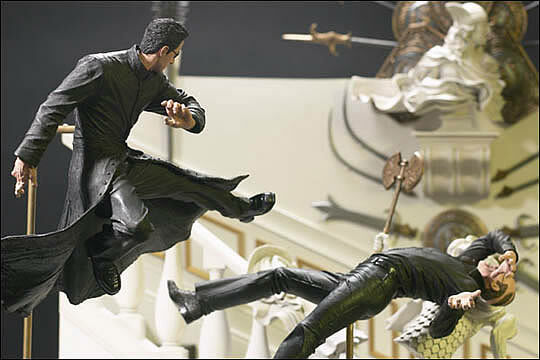 This deluxe edition features Neo and is based on a fight scene in the Chateau from The Matrix Reloaded. Includes 2 figures, Staircase, and accessories.